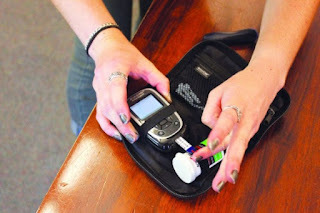 If you are concerned about your blood sugar level, and you are trying by all means to keep it checked and balanced, this act alone can promote efficient weight loss. The good news is that balancing blood sugar level does not only help you to lose weight, it also guarantees that the weight stays off for good. It is a tragic fact that only about 15-20% of people who lose weight manages to keep the weight off for more than 2 years. The problem lies with the fact that most people are following crash diets or other dieting trends in order to lose weight quickly, instead of thinking long-term and adopting a sustainable healthy way of living. The other problem is that most diets aren’t really concerned with stabilizing your blood sugar levels. Blood sugar levels refer to the amount of glucose circulating in your bloodstream, and this glucose are extracted from the food you eat. Glucose is used to provide energy to the cells, or be stored in the cells for future use. Healthy blood sugar levels are not only good for losing weight, they are vital to your overall wellness and fitness. They help regulate hormones, trigger the body to burn fat, and also increase your metabolism to help you lose weight. Unfortunately, most people’s blood sugar levels are not properly balanced. If you are getting too much glucose in through the food you consume, it leads to high blood-sugar levels, which your body cannot break down and stores as fat. But be careful, because if you do not get enough sugar it can also lead to putting on weight. This is because too little glucose can lead to a low blood sugar level, causing your body to go into “starvation mode” where it burns your lean muscle instead of the fat. Research suggests that our bodies function best when we eat every 3 hours, as this is when our bodies “want” to eat. If you eat your meals further apart than this, your body begins to enter starvation mode. As your blood sugar stabilizes by sticking to the rule of 3, you release previously stored fat. And the leaner you get, the more you will be able to eat. Just remember, you can always eat as many veggies as you’d like, as they are packed with vitamins and nutrients your body needs and are low in calories.